This month, Chain Store Guide provides another exclusive look at data from our Retail Technology Database – data that our clients and customers leverage on a daily basis to grow their business. Our Retail Technology Database features more than 1,700 top retail chains including Walmart, Target, CVS, Home Depot, Best Buy and Macy’s, and 18,700 executives and technology decision makers within those organizations. 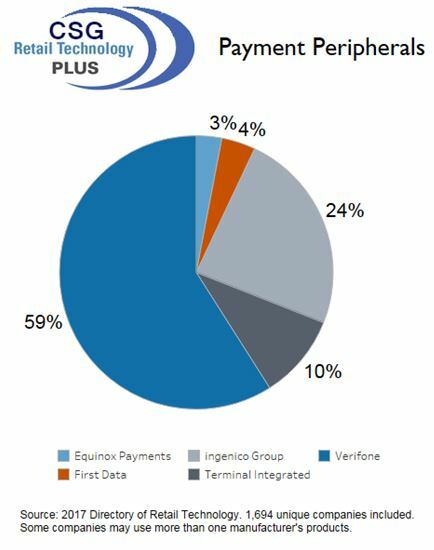 The following chart provides a snapshot of payment-peripheral usage among top retailers across the US and Canada broken down by manufacturer.